Get details on tuition costs, student fees, residency status and all the details you need to budget for your education. Find resources and how-to information about tuition, sources of aid and all the application details and deadlines. Ready to apply for financial aid? Use our quick-start guide to find all the forms and process you need to apply now. Learn about financial wellness through iGrad and quickly access BankMobile, TIPP, Net Price Calculator and more. 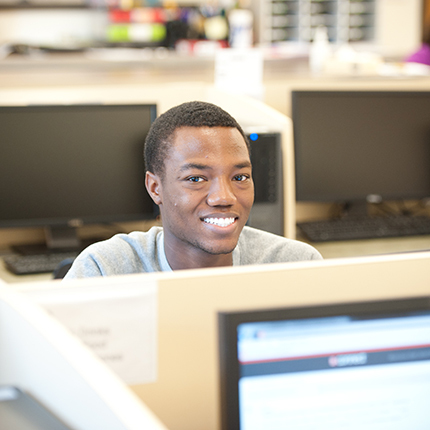 Log in to access your financial aid information in your ctcLink account. Take a peek at the policies that guide how we disburse and handle money, satisfactory academic progress rules and more. 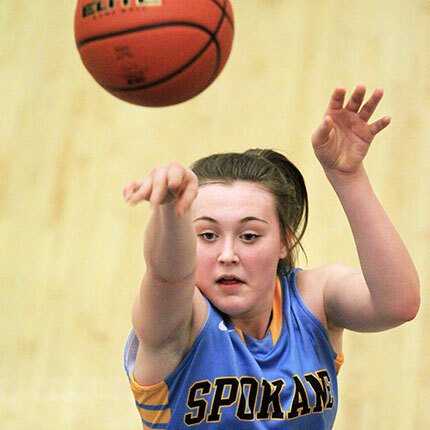 Anyone, regardless of financial status, can attend Spokane Falls Community College (SFCC). We have resources you need for scholarships, grants, loans and work-study programs. 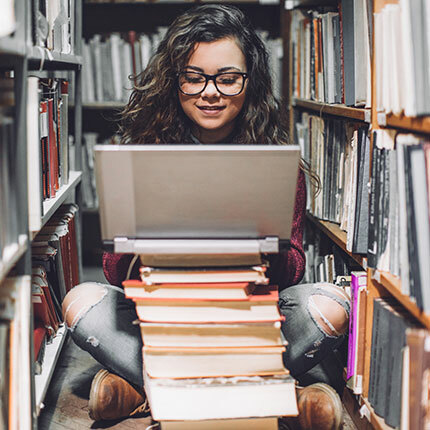 Our team of financial aid experts guide you through a four step process beginning with financial aid education, applying for aid, using the funds and eventually paying off any outstanding debt. There is lot of information to absorb and everyone’s financial aid status is unique. Let’s get started financing your future today! 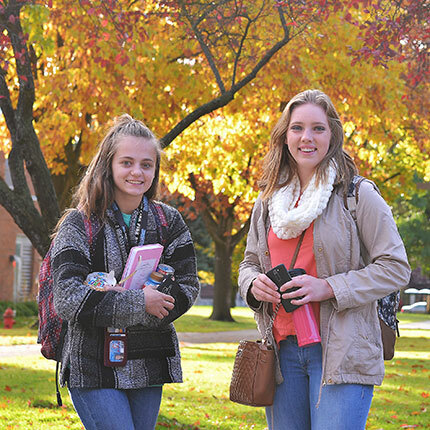 Numbers reflect 2016-2017 students at SFCC. 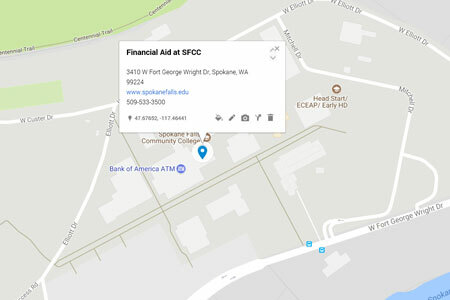 Use this code for your FAFSA if you attend school at the SFCC or Pullman campus. One of the benefits of going to community college is saving money. 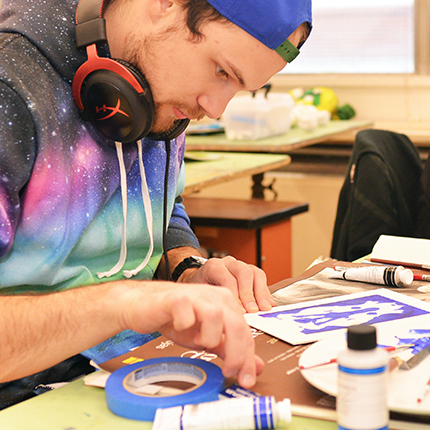 You can save a substantial amount of money on your four-year degree by starting here. But everyone's out-of-pocket cost is different, depending on your aid package, amount of credits, program supplies like books or lab gear and financial need, your education can be significantly different than a friends. That's why it is important to get started on a budget so you know what to expect. 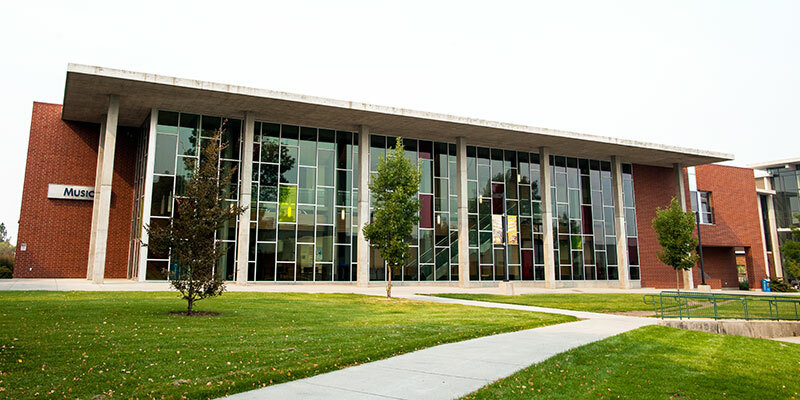 *Tuition rates reflect the annual cost for one full-time (with 15 credits), WA State resident attending fall, winter and spring quarters in one academic year. This cost reflects tuition only and does not include student fees that vary based on school and area of study. Tuition fees do not reflect any financial assistance, which may help reduce your out-of-pocket expenses, based on your eligibility. 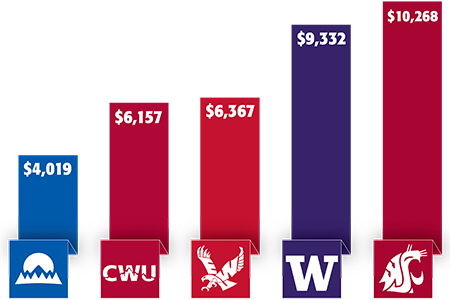 Numbers shown reflect 2017-2018 tuition costs. For detailed information on tuition, fees and to use our tuition calculator tool, visit how much does it cost? The financial aid office sends you information at the email used to create your student account in ctcLink. Log in to ctcLink to change your information. When completing the FAFSA application, please remember to use the Aid Year Application that corresponds to the school year you wish to begin attendance. If you have any questions as to which FAFSA to complete, please contact the financial aid office.